Radiodetection RD400PDL2RD433HCTX2 - Precision Pipe / Cable Locator with multifrequency transmitter. 50 Hz powerline frequency. 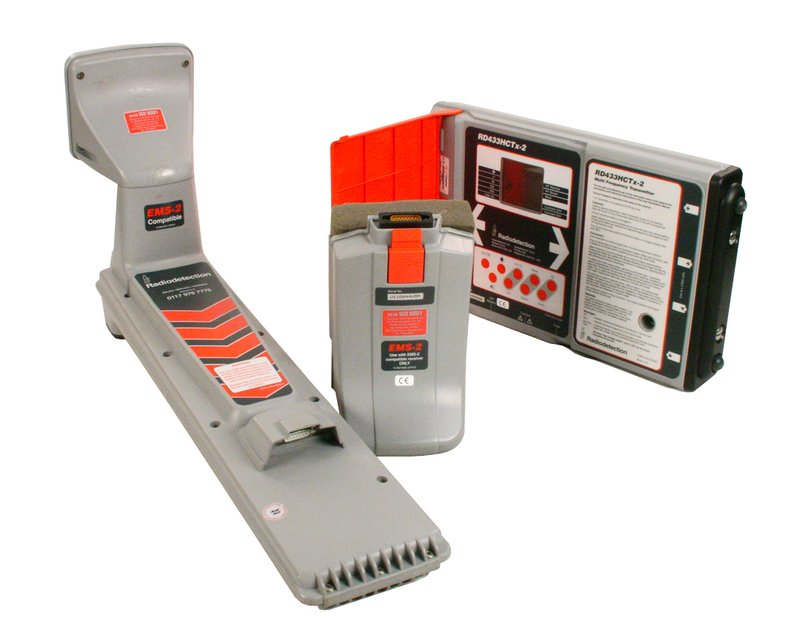 Includes EMS Marker Locator. RadioDetection RD400PDL2 with RD433HCTX2 Precision Pipe / Cable Locator with multifrequency transmitter. 50 Hz powerline frequency. Includes EMS Marker Locator. Note: Operating frequency are 8K, 33K, 65K, 440 Hz (LF), 83 KHz (USER) and 50 Hz power line RCV. Also includes multi freq., current mode, FF tx & EMS Marker Receiver.